Escape to The Carrickdale for comfort and indulgence on the Cooley Peninsula. It has a leisure centre, a fitness centre and the therapeutic Serenity Spa. Serenity Spa is set amid the hotel's natural green surroundings and provides a selection of therapeutic, healing and restorative treatments. 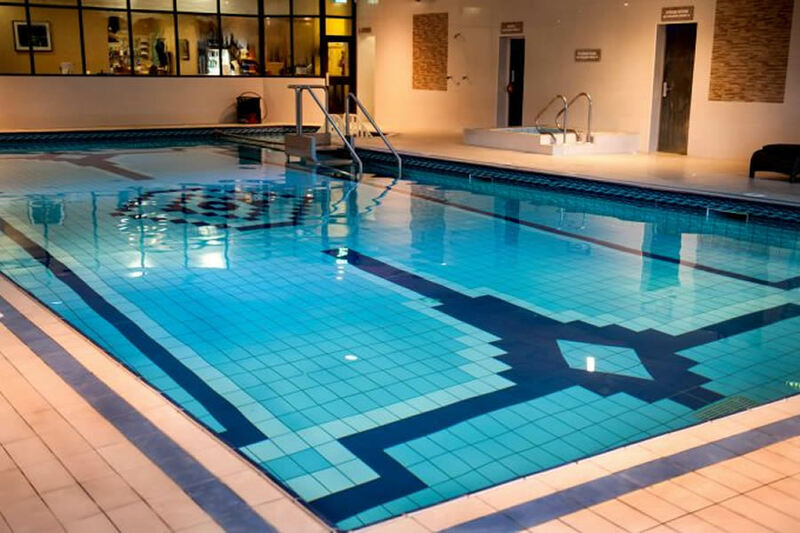 The leisure centre has a swimming pool, sauna, outdoor whirlpool and gym. The Carrickdale can be found at: Exit 20, just off the M1 motorway. 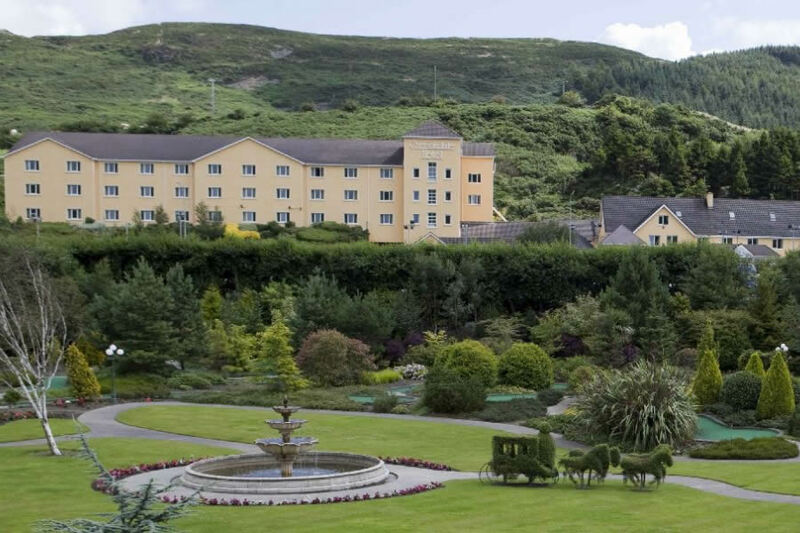 The Carrickdale Hotel is located at Carrickcarnon, the gateway to Newry and Belfast City, amid the tranquil surroundings of Slieve Guillion Mountain. The medieval town of Carlingford, an area of outstanding beauty and character, is a short distance away. Very nice hotel. Rooms are comfortable. Food in the bar and the for the breakfast is very good. Staff are very friendly. I would have no problem recommending this hotel. Busy hotel but very welcoming. We stayed for one night in a very large, comfortable room. Ate bar food for dinner which was delicious. Relaxing ambience all round and the open fire added extra warmth. All in all a great place to stay. Very nice hotel. The facilities and staff were all top class. The secure car park was also a big bonus for us as was the pool and gym. I would have no problems staying here again. Overall stay was just OK. We were given a room directly above the reception which looked out at a roof. We asked to be moved to a higher floor but were told the hotel was fully booked the next night and we were there for 2 nights so couldn't be moved. This is the older part of the hotel and could do with a bit of an update. The corridors in this part of the hotel just smelt of food as it must be above the kitchen. On the 2nd night there was a wedding at the hotel and some of the guests partied in the reception until almost 6:00 am so therefore we didn't get much sleep. The dinners were good but limited to a smaller menu as we were on a package deal. Definitely would need a few vegetarian options as I had to have the same dinner both nights as it was the only vegetarian option available. Service was slow but OK if you called the staff every time. Pool area was good though there was some work taking place while we were there. Don't think I'd stay there again! I have stayed in better hotels for the same price! PS the gardens are amazing though. It's a pity they don't take the same pride in the rest of the hotel. Lovely mid week stay , gardens are fabulous . For the price we paid - €70 b and b per night for two adults and two children - it was really good value. The hotel was clean, the room was comfortable, the staff were good, the food was fine but there are better places to eat in the locality. The swimming pool was great and children are allowed in the indoor jacuzzi which was a novelty for them! There is an outdoor one for adults only. The hotel carpets are a little tired and tattered. There is a great secure residents car park. The location is excellent with lots to do in the area for families. We highly reccomend Slieve Gullion Forest Park. We would go back at this price! We had a nice stay here, Gardens are beautiful. There was a mix up with our room on arrival and it was sorted quickly. Didn't realise the hotel was so far out from anything, you would really need a car here to visit nearby Dundalk and Newry. Busy place, friendly staff. Good service, great facilities, tasty breakfast. Twenty minutes drive from the bars & restaurants of Carlingford and the Cooley mountain walks. Really enjoyed the break there. Would recommend it. Wonderful stay at the Carrigdale.Staff so helpful and friendly.Food excellent.Would highly recommend it. When we arrived there was confusion about our room, I think it was given to someone else in error, they also offered me a better price but it was the price I had booked under. They arranged another room for us straight away but when we went up it hadn't been cleaned yet so we had to go off for a while. I found the staff extremely nice and pleasant to deal with at all times but there seemed to be alot of confusion about what was going on e.g. times of bar food etc. The hotel was clean and comfortable, the pool factilites very good but detatched from hotel which we weren't aware of prior to arrival. I found the selection at breakfast a little limiting but food was good. The hotel a bit off the beaten track so if you were looking a variety of things to do in walking distance it wouldn't suit but it was ideal for us. Had a lovely stay at this hotel with my husband and 2 children.Staff were very friendly and helpful.We had a lovely meal in the restaurant food was delicious would definitely stay there again. Excellent hotel.Booked a family room which was big and comfortable. Had bar food which was very well priced and tasted great as well. Staff very friendly and helpful as well. Probably the best hotel we stayed in that had wifi coverage everywhere even in the bedroom. Used this hotel as a base to travel to Belfast and would definitely stay again. No problem recommending this to other people. Our visitors from Austria and ourselves enjoyed our stay at the Carrickdale Hotel. The hotel staff were very helpful and friendly. Dinner was very good, with fresh fish, steaks, and tasty sauces. There are lovely country walks beside the hotel, which is situated in an area of beautiful mountains and valleys. Just back from an overnight stay at the Carrickdale. What can we say but we never had a break like it. From the second you arrive till you check out you are treated like royality. the food, staff, and the facilities were second to none. the staff could not do enough for us and the room was clean big and airy. we did not have time to use the complex but when we return we intend to do so. We will be bad again. Thank you Carrickdale. We enjoyed our stay at Carrickdale. 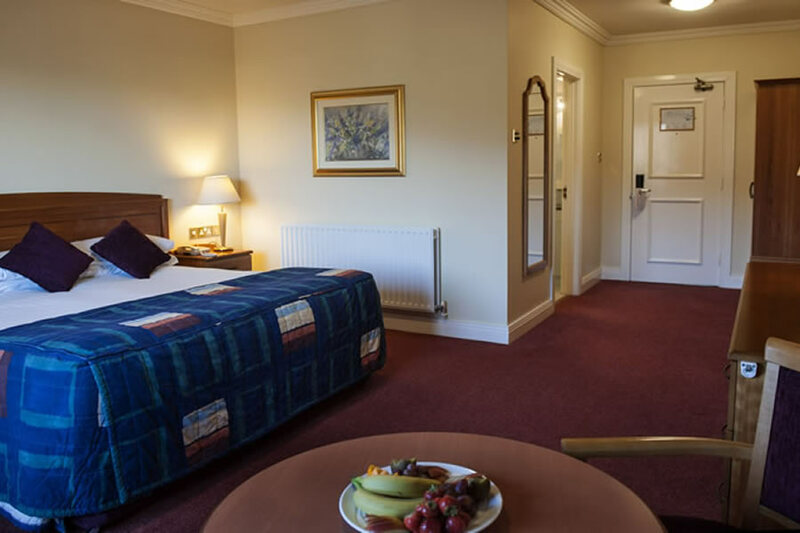 Staff were really nice and helpful, hotel was very clean and leisure facilities were great. We have stayed here before on a number of occasions and always enjoy our visit. Excellent hotel and we paid so little. We just wanted to get away for a day or two without having to pay huge money as we do this quite often. Easy to get there as 1 minute off M1 motorway. Excellent speedy check-in and staff were super friendly and very helpful. Family room was very big and roomy, 2 kids were thrilled. Queensize bed was gorgeous too. Everything was spotless. Very quiet at night. Bar food was excellent. Leisure facilities were just what we needed, also very clean and up to high standard. Such a great family break. It was all we needed and we were very happy we chose the Carrickdale hotel. Thanks. Staff could not do enough for us. They were brilliant. Food really tasty. Would definitely go back. Great hot tub outside too! Had a great night away. The hotel, staff, food are 5 star quality. We will be back. Had a lovely night away with my husband. The food, staff, hotel were 5 star quality. We will back again soon. We are four adults who stay regularly at the Carrickdale. We have always enjoyed our stay; the staff and general service is top class standard and is always a pleasure for us. We have stayed in many "five star hotels" but have a preference for the informality of the Carrickdale. Peter Higgins. stayed in carrickdale with my husband and 20 month old baby, staff great and very accomodating with children. visit this hotel at least once a year. staff in serenity spa very pleasant. food beautiful. nothing too much trouble. Courteous helpful wellmannered staff,very comfortable room and lovely breakfast. Beautiful crib and real Christmassy atmosphere. Friendly staff, nice room, good bar food with a quirky menu offering a random side dish of a Cold Glass of Milk. Highly recommended! A charming hotel in a beautiful part of Ireland. The staff were so pleasant, helpful and kind to us during our stay. The food is simply WONDERFUL - we never eat in the same hotel twice when on a break but we did this time because we enjoyed dinner so much on the first night. Very generous portions, excellent service and great taste. My favourite element of this break is that I was served breakfast as I hate self service and find nothing more of a culinary turn off than looking into a container full of sausages or bacon so well done for a great service from all the team. Our room was lovely and comfortable (except for the pillows - very hard and uncomfortable) and spacious enough for both of us and our son. well done to all at the Carrickdale. We will be back! The Carrickdale Hotel is situated near Jonesborough which makes it an ideal location to stay when one is thinking of visiting the nearby towns of Newry or Drogheda, which have lots to offer, the hotel itself is clean, staff are very friendly, helpful in everyway possible and the staff are genuine in their hospitality. We really enjoyed the food in the restaurant and there is a spa and leisure centre across the road for anyone who wishes to pamper themselves or work of those extra pounds. Overall the whole experience was excellent and we will be returning to them soon in the near future. The hotel was grand, great value for money. But the staff were the best, nothing was too much trouble for them. they made our stay so injoyable..
Lovely hotel, great staff who all appear to be local. Food excellent and the leisure centre was great, especially the outdoor hot tub. WOULD RECOMMEND THIS HOTEL ,HAD A GREAT BREAK THERE , STAFF VERY FRIENDLY AND HELPFUL , BEAUTIFUL GROUNDS , GREAT FOR KIDS , SWIMMING POOL, PLAY AREA , MINI GOLF ALL SPOTLESS CLEAN, AS FOR THE FOOD IT WAS JUST DEVINE AND PIPING HOT .WE BE BACK AGAIN AND AGAIN JUST LOVED IT . I HAD A 7 & A 10 YEAR OLD WITH ME THEY HAD A BALL . THANKS TO ALL THE STAFF IT IS RARE TO FIND SUCH FRIENDLY CARING STAFF . 10 OUT OF 10 FROM ME . AVRIL . We stayed here for one night and can't fault the hotel at all, the pool and outdoor hot tub were just lovely and we had a great relaxing time. We ate in the bar and the food was excellent. Would definitely return.